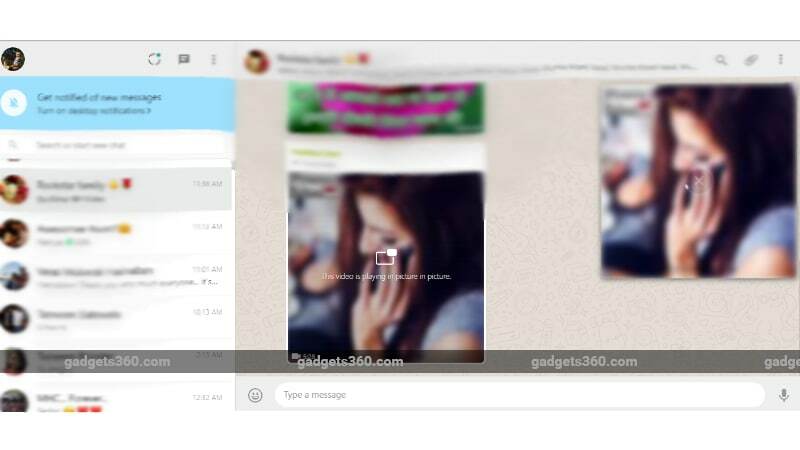 WhatsApp is known to release new features for its users regularly, and today, the company is reportedly rolling out the Picture-in-Picture mode for WhatsApp Web users globally. The rollout is said to be gradual, and should be seen by all users in a few weeks. The PiP mode will work only on shared videos for now, with support for Facebook, YouTube, and Instagram videos coming soon. To recall, PiP mode was rolled out for Android and iOS users over the course of this year, and now it works for all videos shared on the social networking app. As for desktop, WABetaInfo reports that WhatsApp is now rolling PiP mode gradually for WhatsApp Web users globally. The feature has been enabled with the latest version 0.3.1846, and the user doesn’t need to manually install this update. Every time a user starts WhatsApp Web, the site recognises if there is an update available and installs it automatically. In order to double check if you are on version 0.3.1846, head to WhatsApp Web > Settings > Help. If you’re on an older version of WhatsApp Web, then try clearing the cache and restart the service. To use the feature, try playing a video in chat, and see if a floating box appears that plays the video in-app. In our test, we saw that the feature was working fine, and after the video download was complete, a PiP logo shows up on the top left edge of the video (on iOS). Clicking on that will enable the video to play within the chat box. It will continue to play even when you leave the chat box and browse through other parts of WhatsApp as well. While iPhone users had PiP mode enabled since January this year, all Android users got it via an update just a few days ago. The feature was in beta for Android users since October.